Lipid bilayers are unique soft materials operating in general in the low Reynolds limit. While their shape is predominantly dominated by curvature elasticity as in a solid shell, their in-plane behavior is that of a largely inextensible viscous fluid. Furthermore, lipid membranes are extremely responsive to chemical stimuli. Because in their biological context they are continuously brought out-of-equilibrium mechanically or chemically, it is important to understand their dynamics. 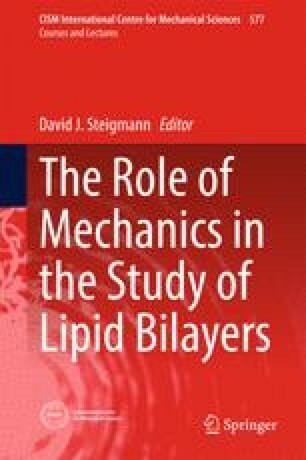 Here, we introduce Onsager’s variational principle as a general and transparent modeling tool for lipid bilayer dynamics. We introduce this principle with elementary examples, and then use it to study the sorption of curved proteins on lipid membranes.